Recently we sat down with the talented Diana Brobmann, owner, CEO and creative director of startup toy company GiGGo Toys. Diana is a brand-building and licensing expert, and uses her experience to bring the GiGGo Toys’ vision to life, which is to “bring fun to kids everywhere.” We asked Diana about her role as CEO and her advice for budding and current small business owners. Q: What are some of the educational and career steps you took in order to become a small business owner? DB: Putting myself through college at night while working during the day instilled a strong work ethic and made me value the importance of time management. Now, I encourage my team to take webinars and attend classes to continue learning. I always say that we are a “teaching hospital,” meaning we want our employees to learn on the job. Q: What is one of the biggest challenges you’ve faced since starting GiGGo and how did you overcome it? DB: We’re a small company, so we don’t have specialists in every area. Because of that, we struck up a partnership with our local university and brought on interns. We’ve had some great talent come through these doors over the last two semesters. We hired an excellent marketing intern who developed our social networking capabilities and another one who was finishing his master’s degree in IT and helped us with our e-commerce site. We could not afford to pay the interns so we made sure they got college credit for their time. They told me that they feel like they are part of the beginning of something big – and what they learned from us was more than they could learn in one semester at school. It’s been a win-win for all of us. Q: If you had to offer small business owners one piece of advice, what would it be? DB: Do a business plan first. It is so critical to understand the environment in which you want to open your business. Who is your competition, what are your opportunities, what are your five year sales and P&L forecasts? Q: If you could go back and do something differently, what would it be? DB: I would have saved additional money before starting the business. Getting financing from a bank is next to impossible for a startup company so you end up using a lot of your own personal funds. Make sure you have enough saved in case your ramp up time exceeds your plan. Q. Do you have business motto or inspiration quote you try stick to? Q. Is there a book or business manifesto you would recommend small business owners read? DB: I took an entrepreneur class at Hofstra University. It was here that I learned to write a business plan, and the ins and outs of basic accounting, the legal requirements for starting a business, as well as the insurance basics. I truly believe that if more people take classes like this one, there will be less failed businesses in this country. 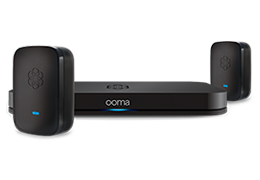 Q: We can’t help but ask – which Ooma Office feature has saved your (SMB) life? DB: I would say it is a tie between the virtual receptionist and the multiple extensions. I need to purchase ‘Telo for my home. Please let me know what to do. 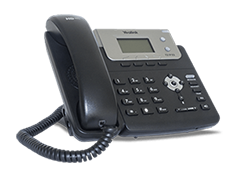 Small business rely on their phone systems just as much so if not more so than fortune 500 companies to ensure they are able to communicate effectively with each client.